No one can accuse luxury brands of cutting corners where advertising spend is concerned. On average, they divert 8% of their turnover into funding advertising initiatives. In the US for example, luxury brands invested more than $5 billion in advertising last year, accounting for a significant portion of overall marketing expenditure. Love it or hate it, advertising is a principal ingredient of business success. How else would you make customers be aware of your brand and build an inspirational image? Advertising is also essential for increasing brand equity and driving traffic to point of sales, which is how you boost your revenues. So, I assume we can agree that advertising remains important. But let’s explore the issue through some numbers to see whether luxury brands are doing it right and extracting maximum value from their advertising investments. Here’s one number: the average conversion rate in retail is about 10%, which is to say that merely 10 out of 100 customers entering a store will buy. The best-in-class brands can boast a 20% conversion rate, but that still leaves anywhere between 80% and 90% of store visitors exiting without a purchase. On the bright side, these numbers are not necessarily a harbinger of doom because nowadays a store has become more of a touchpoint along the customer journey. 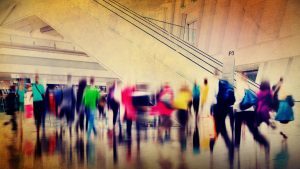 A transaction may occur on the premises during the visit, but it may also take place at a later time in another brand store (think airport outlets, for instance) or online. Therefore, a visit without a purchase is not really the issue. We truly have a problem when non-buying customers go away without leaving their personal information. This should be ringing all sorts of alarm bells because it means the brand cannot continue its conversation with these customers. Our research shows that in 2017, an average of 65% of non-buying customers were not invited to leave their personal information. In other words, this is nearly 60% of store visitors who cannot be engaged in further conversation. Advertising is only one of many budgetary considerations for luxury brands when it comes to attracting customers to a store as it also entails expenditure on rent, fittings, and staff salaries, among other things. When you add it all up, you start questioning the rationale behind these investments. Not because they no longer matter in the grand scheme of things, but because the current retail landscape has rendered existing advertising budget allocation practices inefficient. When you think back to those nearly 60% of clients not engaged at all during a store visit, it becomes painful to think of the revenue opportunities missed, not to mention the “waste” of money spent to get those customers cross the store threshold in the first place. Luxury brands now operate in a world where consumers are starting to sidestep advertising and increasingly count on referrals and recommendations to choose a product or a service. Think of it in this way: marketing is no longer about what you say to customers but how you influence what they say to each other. 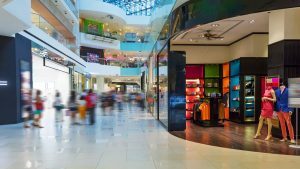 With that in mind, it seems clear to us that luxury brands should spend more on creating unique and memorable customer experiences (both in-store and post-purchase) for buyers and non-buyers alike. Front-line team members should be considered an additional marketing channel, or at least an extension of one. While brands make substantial investments in PR and special events, they need to spend more to make a positive, lasting impression on the customers who come into the store instead of striving to draw even more customers inside. Part of the advertising budget should go into delivering customer experiences and providing value to store visitors, surprising and delighting them at the same time. You can guess what will follow, can’t you? Conversations sparked by viral tweets, social media shares, and likes, which is as good as advertising gets for luxury brands. The gist of what has been said so far is that luxury brands need to pivot from a push to a pull strategy. Carving out a larger portion of the advertising budget to invest in customer experiences is the way forward, but multiple factors need to interact for effective execution and tangible results. For one thing, brands need to put the right people on the shop floor. This may require investment in proper training and ongoing support. Other necessary ingredients are decent pay plus the right KPIs and incentives. Last but not least, luxury brands should empower their teams to do whatever is required to deliver a high-quality customer experience – one that will be remembered, shared, and seen by many. When the social media and word-of-mouth mills start churning, luxury brands will have all the vindication they need for having aligned their advertising budgets with the new realities of retail. Christophe Caїs is the founder and CEO of the Customer Experience Group (CXG). He is responsible for communicating and implementing the organization’s vision, mission and overall direction. He also maintains awareness of both the external and internal competitive landscape, explores opportunities for expansion, new industry developments and standards, and so forth. CXG now has 17 worldwide offices which cater to over 70 countries and employs 220 full time staff. Christophe is also the co-founder and CEO of Albatross CX, one of the agencies under the umbrella of CXG. Founded in 2006 in Shanghai, Albatross CX specializes in the collect and activation of customer and staff feedback. Christophe is also Chairman and board member of Face2Face and Activate Experience, that are both part of the Customer Experience Group. 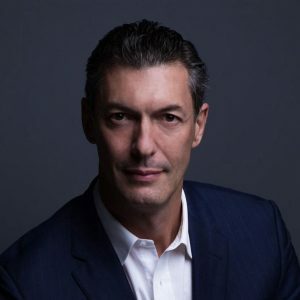 Prior to the Customer Experience Group, Christophe co-founded and ran for 12 years (until 2004) the luxury fashion brand Biche de Bere, seen as one of the most successful stories in the French fashion industry with 40 shops and 20 corners in Europe, USA, Japan and China. This experience gave him a unique insight into the luxury industry. Christophe is an Institut Supérieur de Gestion and Harvard Business School alumni. He is now based in Dubai, married and proud father of a lovely 5 year old girl.